Five suspected members of a cell phone theft crew are in custody after reportedly stealing $2,000 to $3,000 worth of merchandise from the Verizon Wireless store at 3019 N. Clark this morning. Officers believe the crew is responsible for a very long list of similar heists across the city. Store employees called 911 at 11:30AM after three offenders pushed customers out of the way in a blitz to grab as many cell phone products as possible. A fourth offender drove a get-away vehicle, believed to be a white Ford Taurus which made its getaway eastbound on Wellington. 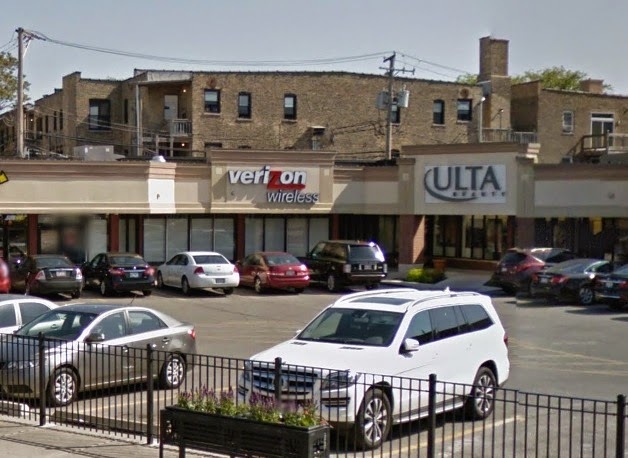 Verizon employees were able to determine that some of the stolen merchandise had made its way to the vicinity of another Verizon store at North Avenue and Halsted in Lincoln Park. 18th district officers were alerted and two suspects were taken into custody near the second Verizon store. Three other offenders were taken into custody within the hour, but the exact location of those arrests is not yet clear. The Clark Street case number is HX443940.